Philippa Roberts, a senior at Eleanor Roosevelt High School, has never had a deep interest in English. “I’m just not an English person” were the words she always repeated in order to make herself feel better about getting Cs on some of her essays. However, if it wasn’t for one of her teachers, Philippa wouldn’t have been determined to change her mindset about writing. The teacher told her that “there’s no such thing as an English person or math person. We can all excel or improve ourselves in certain subjects if we wanted to.” Taking this advice with her, Philippa was inspired to improve as a writer. She signed up for journalism class hoping to learn how to better express herself in her writing as well as how to persuade and to overall become more confident in communication. 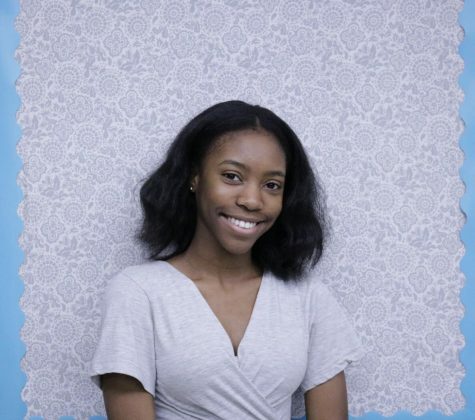 Though she is looking forward to journalism class, Philippa is also interested in photography, fashion, dance, business/entrepreneurship, and psychology. She is currently part of the yearbook staff, Desi Dance, West Indian Dance Club, and the Academy of Business and Finance. She hopes the skills she acquires in her classes and clubs will help to guide a career in business and photography.